Makers Mark gallery and shop is now open in Church street 42, Tulbagh, Western Cape. They have an awesome selection of high end pottery, delicious food and obviously stunning artwork for sale. 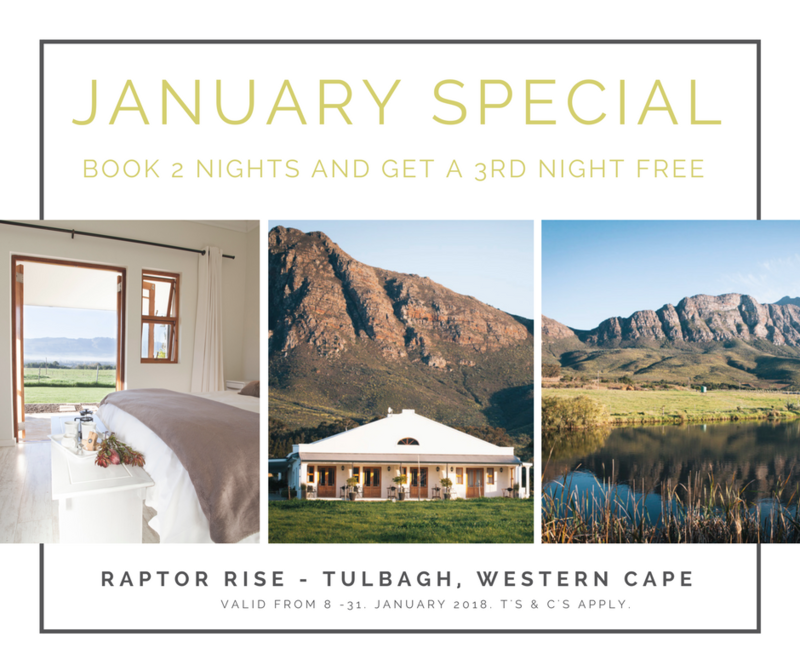 Go pop in during your next visit to Tulbagh. 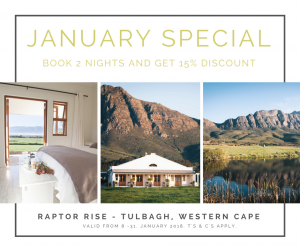 Raptor Rise is a working olive and cattle farm with several well-appointed accommodation options. Located in Tulbagh’s incredible ‘Valley of Abundance’, only 90km from Cape Town its beauty defies description. Your hosts, Bill and Averil Slater, have gone to great lengths to provide you with a blend of comfort and privacy, whilst ensuring that each suite has unique views of the magnificent setting. Quality finishes, crisp white linen and so many special touches delight the heart and extend a warm welcome. An evening in Tulbagh of good food and wine featuring Jayson’s botanical tales and Tara’s fine kitchen faire. Those wanting to join us for a tour of the new developments in the garden, should meet in the garden at 6pm before the dinner.